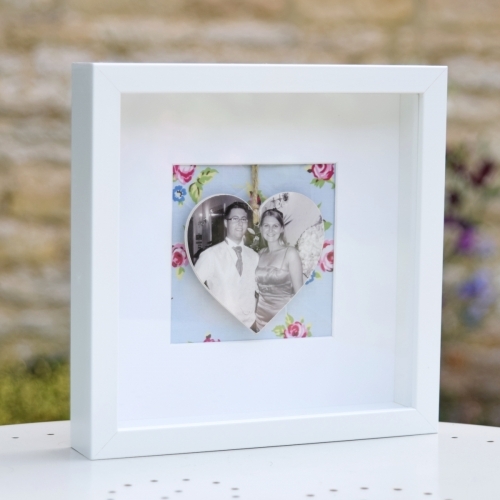 Single personalised wooden photo hearts make a lovely unique way to display some of your most treasured photos. 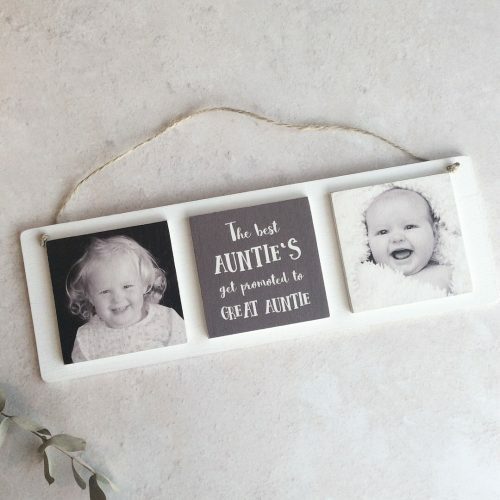 They make great gifts too! Our standard wooden photo heart measures approx 10cm but we also offer two smaller sizes which can be selected from the dropdown below. 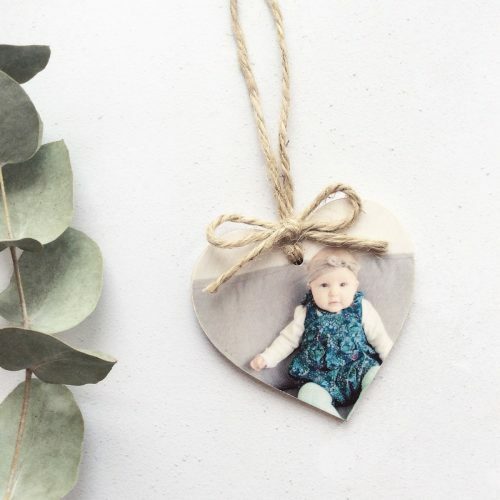 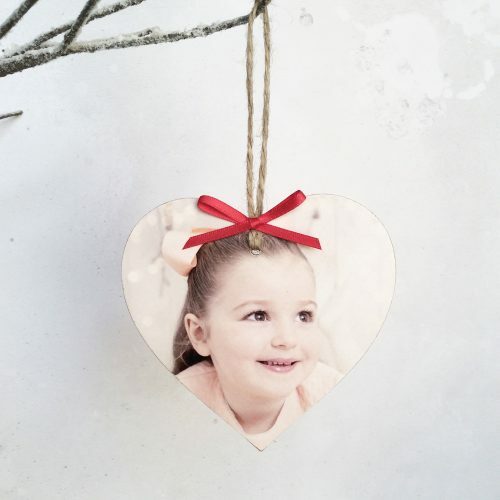 Each photo heart is hand painted with your photos professionally transferred and comes hung on natural twine with an optional ribbon or twine bow. 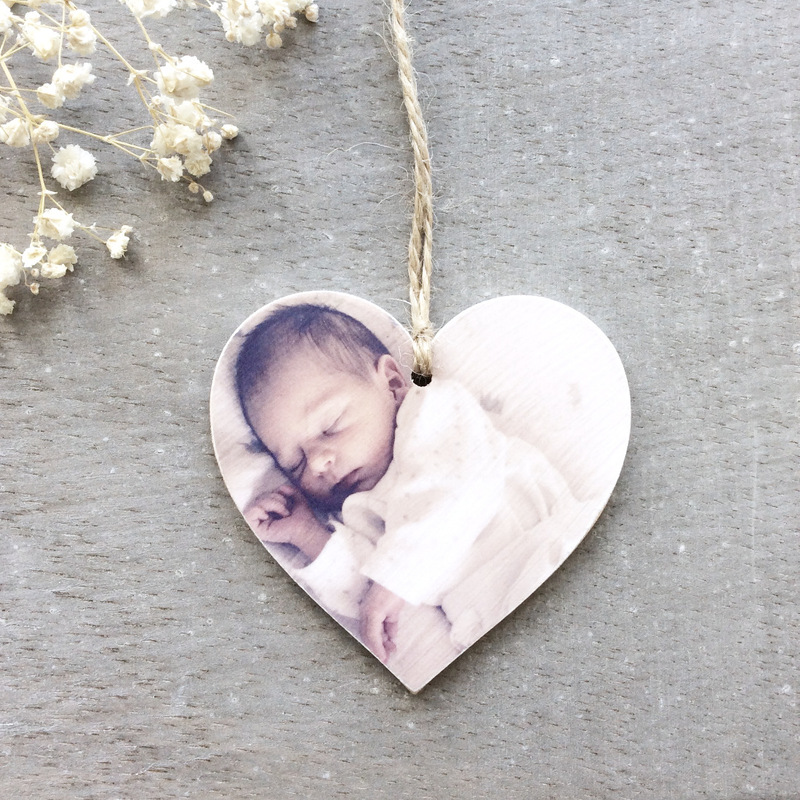 Please upload the photo below and whether you would like it in colour or black and white. 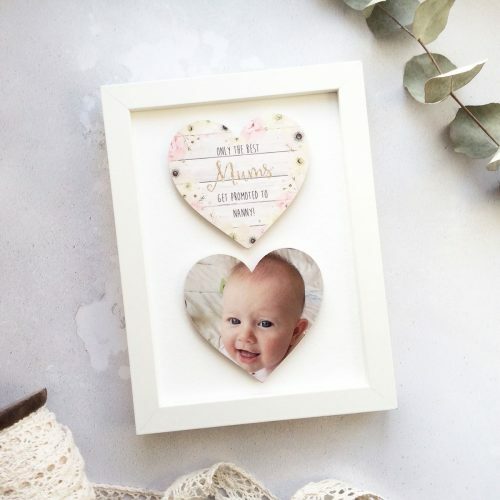 (Please make sure the photo you choose will fit into a heart shape, so nothing too important near the bottom two corners). 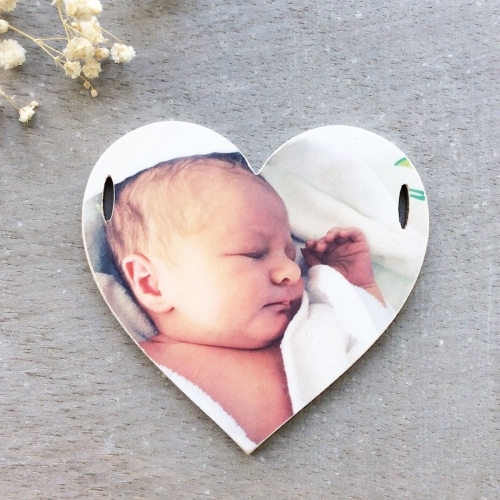 Photos are the sole responsibility of the customer and are placed using my artistic discretion, please bear in mind the heart shape when choosing your photo.